Buenos Aires, Oct 10 : Argentina's Austral Gold Ltd. has formed a joint venture with Canada's Goldrock Mines Corp. to develop the Linares gold and copper project in the northwestern Argentine province of Salta, authorities said. The partnership was announced by Austral Gold Chairman Eduardo Elsztain, the chairman and largest shareholder in real-estate group Irsa, during a meeting with Argentine Mining Secretary Jorge Mayoral. Elsztain said a work agenda was being developed for the Lindero project, located in Salta's Los Andes district, the Mining Secretariat said Wednesday in a statement. Buenos Aires, Sep 21 - The Argentine economy grew by 8.3 percent year-on-year in the second quarter, April- June of 2013, and its half-year growth reached 5.8 percent, official figures show. The Argentine National Institute of Statistics and Census (INDEC) said in a report released Friday that the industrial sector increased 8.4 percent in this period, and the services sector grew 8.8 percent, reports Xinhua. According to the report, private consumption jumped 9.2 percent during the quarter and public consumption increased 8.6 percent. Buenos Aires, Sep 5 : The president of Japan's Olympic Committee, Tsunekazu Takeda, defended Tokyo's bid to host the 2020 Summer Olympic Games in Argentina's capital Buenos Aires, where the International Olympic Committee (IOC) is meeting. "Tokyo is extremely well positioned," Takeda told reporters at a press conference Wednesday, reports Xinhua. The Japanese capital is competing against Madrid (Spain) and Istanbul (Turkey) in its bid to host the games, and the IOC decision is to be announced here Saturday (Sep 7). Buenos Aires, July 5 : Argentine basketball player Manu Ginobili, gold-medal winner in Athens 2004, said he will play in the 2014 Spain World Cup if he is in good physical condition. "If I am in good shape, there are more chances that I will play the World Cup," said Ginobili in a press conference at Buenos Aires's Ezeiza international airport Thursday, minutes after his arrival to Argentina for holidays, reports Xinhua. Ginobili, 35, added that "it depends, exclusively, on my physical condition. I had a complicated season. If I am healthy, there are more chances I can play (the World Cup)", he insisted. Buenos Aires, June 8 : Lionel Messi admitted that he was not fit to play in Argentina's goalless draw with Colombia in their World Cup qualifier at the Estadio Monumental. Messi, who had not played since May 12 due to a thigh injury, was introduced by Argentina coach Alejandro Sabella in the 55th minute Thursday, reports Xinhua. "I'm not well. Today I could play a little but I wasn't sure how my leg was going to respond," Messi said after the match. "We spoke about it before the match with the coach and decided that it would be best to come on for a while in the second half." Buenos Aires, April 3 : Argentine President Cristina Fernandez marked Tuesday's 31st anniversary of the start of the Falklands War by again demanding that Britain agree to discuss the question of sovereignty over the South Atlantic archipelago known to Latin Americans as the Malvinas. "Refusing dialogue is incomprehensible," Fernandez said at a Veterans Day ceremony at Puerto Madryn, 1,300 km south of Buenos Aires. Buenos Aires, March 23 : Lionel Messi set up two goals and scored another as Argentina defeated Venezuela 3-0 to extend their lead at the top of the South American World Cup qualifying standings. The Barcelona star's sublime one-touch pass set up Real Madrid striker Gonzalo Higuain in the 29th minute before the four-time Ballon d'Or winner converted a penalty on the stroke of half-time after a Gabriel Cichero handball, reports Xinhua. Higuain made it 3-0 just before the hour when he slotted in Messi's perfect through ball at the Estadio Monumental Friday. Buenos Aires, March 22 : Argentinean football star Lionel Messi says fans of his country's national team are more enthusiastic than ever before, snapping up all the tickets to the team's Friday match against Venezuela in the capital Buenos Aires. "I have noticed the change not just towards me, but also towards the entire Argentinean team. Today, the fans are more fired up than before, it's great. We have to all be united to attain what we want," Messi was quoted as saying Thursday by Xinhua. The capital's River Plate Monumental Stadium was sold out, selling tickets worth almost $2.2 million. 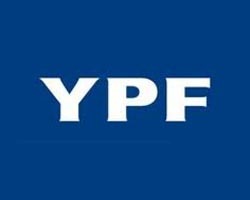 Buenos Aires, March 18 : YPF, the oil company controlled by the Argentine state following the expropriation of a 51 percent stake in the corporation from Spain's Repsol, has set the goal of achieving energy independence, an objective that could be met in "five or six years", CEO Miguel Galuccio said. "It is possible to think about regaining self-sufficiency in five or six years," Galuccio told Radio Nacional. Buenos Aires, March 17 : At least 16 people were killed and 25 others injured when a passenger bus plunged into a river in Ecuador's coastal province of Guayas. Ecuadorian daily La-Hora said the accident occurred Saturday on the El Triunfo-Bucay highway. The bus suddenly crashed into a side-rail of a bridge and then plunged into a river. Passengers of the bus were mostly manufacturers and traders of jeans clothing from the province of Tungurahua and were en route to a handicrafts fair in the town of Guayaquil. Authorities launched an investigation into the bus crash. Buenos Aires, March 4 : San Lorenzo de Almagro snapped River Plate's three game winning streak with a 2-0 victory in the Argentina soccer league. In a match played Sunday in "Nuevo Gasometro" stadium in southern Buenos Aires, Denis Stracqualursi opened the scoring 42 seconds into the game and Mauro Cetto made it two goals up at the 19th minute, reports Xinhua. Buenos Aires, Feb 12 : Former Argentina international playmaker Juan Roman Riquelme says he "feels like a footballer again" after ending his seven-month exile from Boca Juniors. Boca officials announced Friday that the former Barcelona and Villarreal star had agreed to re-sign with the Buenos Aires club until June 2014, reports Xinhua. "I am happy, I feel like a footballer again which is something that I haven't felt for a few months," Riquelme told Boca's official website Monday. "I have made an important commitment and I hope to fulfil it in the best way possible." Buenos Aires, Jan 30 : Paraguayan footballer Juan Manuel Iturbe from Portugal's FC Porto has been loaned to Argentina's River Plate on a six-month deal. Iturbe, 19, announced the loan on Twitter, while River Plate's Vice President, Diego Turnes, also confirmed the news when interviewed by local radio station "La Red" Tuesday, reports Xinhua. "We are all very glad because we reached an agreement. After long negotiations with Porto, we finally signed the player," said Turnes. Buenos Aires, Jan 29 : Argentina sent skin grafts by air to Brazil Monday to treat victims of a nightclub fire over the weekend, the country's health ministry said. Argentine Health Minister Juan Manzur said 10,000 square cm of skin and 20,000 amniotic membrane were sent for those who were seriously burned in the fire at Kiss nightclub in Santa Maria, a college town in southern Brazil, reported Xinhua. Buenos Aires, Jan 28 : Argentinean President Cristina Fernandez de Kirchner said on Sunday that Argentina and Iran have agreed to set up an independent truth commission to investigate the 1994 terrorist attack on a Jewish center in Buenos Aires. Argentinean Foreign Minister Hector Timerman and his Iranian counterpart Ali Akbar Salehi signed an accord on the issue on the sidelines of the African Union Summit in Ethiopia on Sunday, Fernandez said in her official Twitter and Facebook messages. Buenos Aires, Jan 21 : Argentine soccer star Lionel Messi donated nearly 1 million pesos (about $202,000) to a sports facility used by children from low-income families in his hometown of Rosario, Argentina, his foundation said. The money donated by the FC Barcelona striker will be used to improve the Deliot sports complex in Rosario, located about 300 km from Buenos Aires, allowing children to "have a special place for sports, education, training and culture", the Leo Messi Foundation said. Buenos Aires, Dec 29 : The Argentine Football Federation has suspended two footballers on suspicion of doping. The disciplinary tribunal announced the news on its website Friday, saying Newell's Old Boys defender Lucas Bernandi and Arsenal striker Gustavo Canales were banned for positive tests, reports Xinhua. Buenos Aires, Feb 16 - Argentina's Treasury has prohibited oil company YPF, controlled by Spain's Repsol-YPF, from making any imports or exports until it pays an $8 million tax debt, officials said Wednesday. The AFIP tax agency imposed the fine for unpaid debt related to a tax on gas-export rights, agency spokespersons said without providing further details. The fine was levied amid rumours - which the Argentine government has neither confirmed nor denied - about plans to re-nationalize YPF. The country's largest oil and gas producer, which President Cristina Fernandez's government has accused of not investing enough in Argentina, cited the investment figure in a regulatory filing. Buenos Aires, Jan 9 - A judge overturned Argentine President Cristina Fernandez de Kirchner's move to sack Central Bank President Martin Redrado. Fernandez de Kirchner had issued a decree Thursday accusing Redrado of failing to do his job and relieving him of his duties. Redrado had refused to allow Fernandez de Kirchner's centre-left government to use $6.57 billion of foreign currency reserves to help cover state debt payments due in 2010. He sided with the political opposition, which also opposed use of the cash reserves to pay interest on government debt.